Guwahati: Tucked away in a narrow bylane of Guwahati’s busy Bhangagarh area is a building that is at the heart of one of the most contentious and polarising exercises being carried out in the country. But even on this rain-drenched late Friday evening, the office of the state coordinator of the National Register of Citizens (NRC) is bustling with activity. Many are among the 40 lakh people whose names have been left out of the final NRC draft, published on 30 July. They were among the 3.29 crore initial applicants. Those not on the list complain of irregularities — of names being misspelt leading to exclusion and ambiguity within families, where some of the names are on the NRC draft, while those of others are not. Although it has run into such teething problems now, the updation of the NRC was a five-year exercise that involved 62,214 personnel, Rs 1,100 crore and used up nearly 100 terabytes of data. The process, which aims to identify illegal immigrants from Bangladesh — a hot button in Assam — has involved meticulous planning, and building an entire machinery from scratch. It all began in September 2013 when the Supreme Court directed the Assam government to begin the process of updating the NRC, decided as per the 1985 Assam Accord. The government appointed bureaucrat Prateek Hajela as state coordinator to head the mission. “This was an unprecedented exercise. I didn’t know how to go about it. There were a set of rules but I didn’t know how to implement them. This involved creating the entire machinery from scratch. My experience of heading the Sarva Siksha Abhiyan and the National Rural Health Missions in the state helped me greatly,” Hajela told ThePrint. To begin with, the state set about creating the structure to process the applications. At the top, it created a State Project Management Unit (SPMU) with 23 officials — a state coordinator, an executive director as well as planning, media, finance and other domain experts. It then formed a district unit, for each of the state’s districts, with 10 members. Each district unit was headed by a deputy commissioner, who was the District Registrar for Citizen Registration, an SDO-level unit, circle-level offices as well as the Local Registrar for Citizen Registration (LRCR) units. 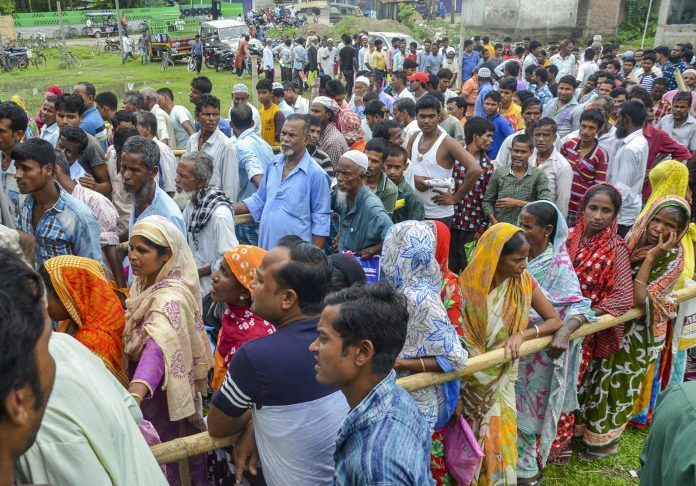 Assam has around 27,000 villages and wards; a cluster of 10 villages or wards were brought under one LRCR — the smallest unit for the purpose of NRC. The LRCRs operate out of the NRC Seva Kendras, the first point of contact for NRC applicants. The government then went about hiring employees to work on the project, primarily relying on contractual workers. Their salaries, educational qualifications and terms of service were drawn up, while they were also integrated with the existing government machinery. By March 2014, the planning for the structure was complete. It was in early 2015 that the current NRC office was set up, initially with five staff members. Overall, so far, a total of 62,214 personnel have been engaged for the NRC, of whom, around 52,000 have been statutory and government officials who were involved with the process part-time, and around 1,200 contractual workers devoted entirely to it. While an initial budget of Rs 322 crore was sanctioned, it was eventually hiked to Rs 1,220 crore, of which around Rs 1,100 crore has been spent till now. 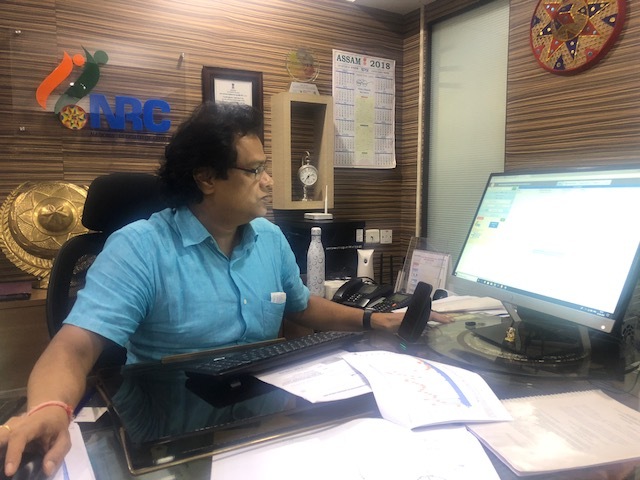 The National Institute of Smart Governance was roped in as the system integrator through which Wipro was engaged to manage all of the NRC’s data. The NRC data has so far amounted to around 100 terabytes. A call centre was also set up in February 2015. In 2010, a pilot NRC was initiated in two districts — Barpeta and Kamrup — but had to be aborted within four weeks following incidents of violence. The challenge the next time around was to ensure the process goes through completely. To begin with, the criteria for determining citizenship had to be drawn up, which meant identifying what would constitute legacy data. Applicants had to submit documents to prove that their names appeared in the NRC of 1951, or in any of the electoral rolls of Assam till 1971, or in any of 12 other documents, which had to have been issued before 1971. All available legacy data was digitised and structured in a way that a link to an uploaded version of the original document was provided for cross-referencing. This entire exercise of digitisation began in September 2014 and took around 5-6 months, according to officials. “The process of digitisation was perhaps the most difficult and complex of all the tasks,” Najela said. The process of receiving applications finally began in May 2015, and a deadline of August was set. The state then carried out an extensive education and communication exercise to explain the process to the applicants. Once the education drive was done, the two main tasks were receiving applications and then carrying out verifications. The NRC received 3.29 crore applications from 68.31 lakh families. The verification process involved going door-to-door, sending the documents back to the respective issuing authorities, identifying family trees in case of mismatch or if needed, carrying out an investigation. The authorities had to process 6.56 crore supporting documents, across 83 categories, all of which have been scanned and digitised. Around 25,000 field-level officers went door-to-door distributing 75,000 notices during the verification process. “Going door-to-door was perhaps the toughest challenge. We had to cover several houses in one day given the time constraint. People often didn’t even understand what was happening and we had to spend a lot of time explaining things to them,” said S Deori, an NRC local official in Nalbari district. Over 9 lakh family tree hearings were conducted across nearly 4,000 venues in cases were mismatches were detected. To send documents for back-end verification to issuing authorities, it was decided to combine documents authority-wise for each year and then send them accordingly, to make matters easier. The first draft released on 31 December, 2017, had names of around 1.9 crore applicants. Further verification had to be carried out before the release of the final draft on 30 July. In all, over 12 lakh calls were received at the NRC call centre. The NRC centres will now have to contend with the next phase of the project — the processing of claims and objections before the release of the final list.